The members of Lodge 146 suspended routine business proceedings during the monthly union meeting on April 10, 2019 to welcome Brother Ray MacNeil, of the International Brotherhood of Electrical Workers Local 424. 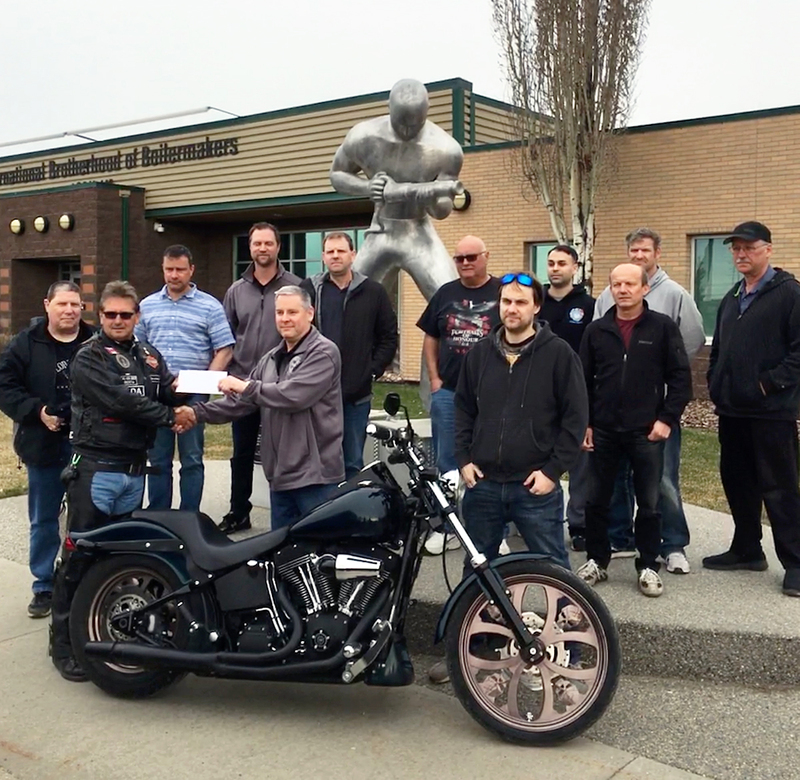 The Lodge members in attendance voted unanimously to donate $5,000.00 to support Ray MacNeil. The motion to donate this money was brought forth by Jonathan Peregoodoff, and seconded by Jacob Winters. Mr. MacNeil volunteers his time to raise money for the Cross Cancer Institutes’ Patient Financial Assistance Program. 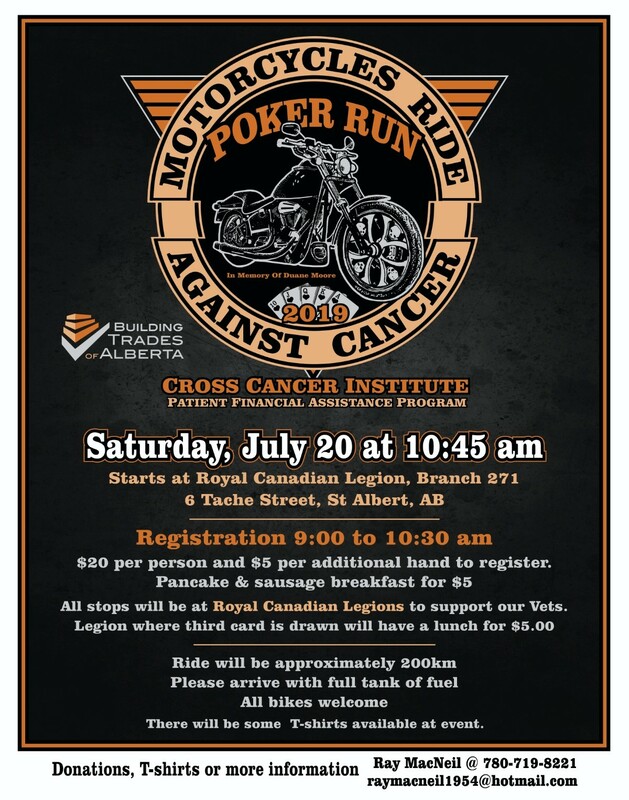 He organizes the Motorcycle Ride Against Cancer Poker Run. All members of Lodge 146 appreciate Ray MacNeil for his voluntary efforts to raise money for such a worthy cause, and we are proud to donate in solidarity with other Alberta construction trade unions. 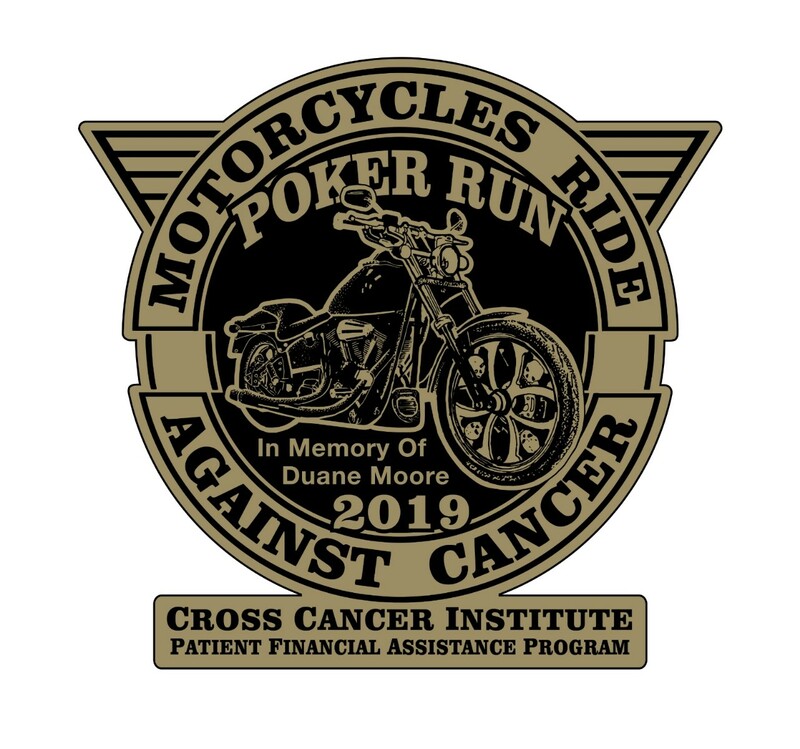 We encourage all members of lodge 146 to participate in the motorcycle ride on Saturday July 20, 2019. Pictured above, Hugh Price, on behalf on the Members of the International Brotherhood of Boilermakers Lodge 146, proudly presented a cheque to Roy MacNeil. It’s moments like these that show the strength of our membership and all the great things they do for worthy causes.